Resident Evil 2 Remastered is making the rounds as a celebrated hit among fans and newcomers of the series. A major part of this game is the reintroduction of the alpha antagonist known as Mr.X. For today, I want to talk more about this kind of design and what it takes to design a horror game where fight or flight is definitely an option. 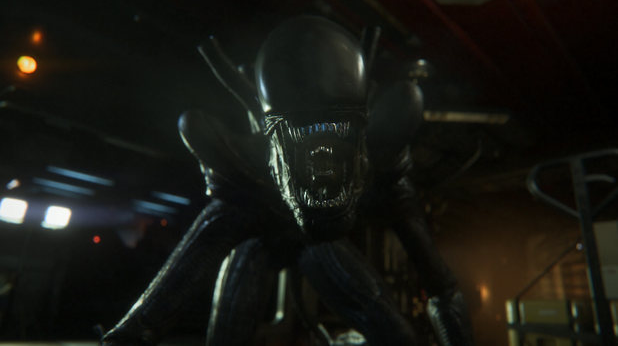 The term “alpha antagonist” is one that I coined way back when talking about Alien Isolation to describe the impact of the xenomorph in the game. 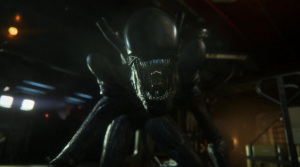 In the game, the xenomorph was always stalking the player and could not be dealt with permanently. Many games in the past have tried to have a stronger enemy — typically as a fixed encounter or “boss fight”, but that’s not the same. When we look at traditional horror games, enemies can be categorized by tiers. Common enemies make up tier 1 and tend to be in almost every room. In the Dead Space series, the player was frequently put into an arena fight and surrounded by them. The second tier is higher class enemies who usually are in fewer numbers, but are more dangerous to fight — such as the lickers and hunters. Finally we have boss fights or tier 3: when the player must deal with a unique encounter. Bosses would not be considered alpha antagonists, as they are one-time encounters with the enemy. Many survival horror games have had a boss where conventional weapons would not kill them, but these battles tend to be more like puzzle sections than actual fights. The more enemies the player has to fight, the less scary the situation gets as they become more accustomed to the horror. And that point is an ever present problem with generating long-lasting horror games. It’s hard for anything to make the player scared after 15 hours of play and acquiring every weapon in the game. Let’s move on and discuss the conditions where alpha antagonists work the best. The first point that rules out a lot of horror games and enemies as alpha antagonists is that there must be combat, or a way to interact with them. 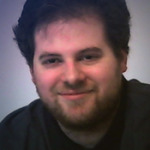 Many indie games have gone the route of having named or unique enemies chase after the player — Outlast and Amnesia being two popular examples. Without having any combat however, these encounters become very basic — either hide or die. What makes Resident Evil 2 and Alien Isolation work is that you can use weapons as a temporary stopgap measure. Instead of the situation being black or white, you have to decide if it’s worth it to use precious resources now, or try and get away to conserve them. With Mr.X, he can be downed by the player’s weapons; he will get back up after about a minute or so. Another dynamic that can show up is the player further torn between using their best weapons on the alpha antagonists — knowing full well that it will only stop them temporarily, or saving it for strong enemies who can be killed. The challenge of making progress while an alpha antagonist is around is another element of the design. The hardest part to do right with an alpha antagonist is that the encounters must be dynamic — IE: they can show up at any time. The problem with a lot of horror games is that they tend to lock their scariest enemies to fixed encounters throughout the title. Once the player knows that the enemy only shows up at specific points, then a lot of the fear goes away. Once introduced, Mr.X and the xenomorph actively go hunting for the player. The knowledge that they could be attacked at any time by something that can’t be stopped is a powerful motivator. There are a few problems with this design however. If your game is built on puzzle solving, it can be very frustrating trying to solve a puzzle at the same time worrying about an attack out of nowhere. Conversely, if you make certain rooms or areas “safe”, then that can be considered immersion breaking by the fact that the killing machine decides to stop at specific points. There are in-universe ways of explaining that, but that would take us off topic. From a design standpoint, this can be tricky to pull off. On one hand, the enemy needs to track the player, but at the same time, they can’t just go wandering off to some corner of the map never to be seen again. In this design piece, the AI behind the Xenomorph was broken down and studied. Essentially, you have two AI systems at play: A director AI that knows where the player is and sends the Xenomorph to a general location near them, and the alien AI that takes over and tries to find the player locally. Resident Evil 2’s use of Mr.X along with the Xenomorph are good designs that developers should take notes on. With rumors about a Resident Evil 3 remake in the works, I would love for Capcom to design Nemesis further along the lines of the Xenomorph — creating that ever present danger that will keep coming back to stop the player. Horror is about fighting something that cannot be stopped, not just hiding for minutes at a time or fighting through waves of monsters. At this point, we can only see where Capcom will go with the formula in the future and if other developers will create their own versions of Mr.X.